Azerbaijani President Ilham Aliyev signed a decree on holding the 120th anniversary of Jafar Jabbarli. The Ministry of Culture was entrusted with preparing and implementing a plan of events dedicated to the 120th anniversary of outstanding poet and playwright Jafar Jabbarli. A solemn event will be held at the State Academic National Drama Theater. The event will be filmed by Salname Documentary Film Studio, Report.az informed. The play "The Bride of Fire" (Od g?lini) will be staged at the Azerbaijan State Academic Drama Theater. The opera "Sevil" by Fikrat Amirov will be presented at the Opera and Ballet Theater. The work is based on the play of the same name by Jafar Jabbarli. The cultural centers operating at the embassies of Azerbaijan in Austria, France and Uzbekistan will host a series of events dedicated to the playwright. The film " Wilted Flowers" (Sol?un çiç?kl?r ) will be screened as part of the events. Born in 1899, Jafar Jabbarli is one of the Azerbaijani most talented and prolific artists, whose works are still topical, which can be seen in his plays that are still staged, and films based on his works that are still screened. The author's focus was on the theater where he achieved great success. The works including Baku War, Devoted Sariyya or Laughter through Tears, Shah Nasreddin, Bride of Fire, Sevil, and Almaz, gained widespread acclaim among readers and viewers. Jabbarli was also committed to cinema. He believed in the development and future success of the art and along with his theater work, he became the first Azerbaijani screenwriter. Jabbarli chose the freedom of women in society as the main theme of his works. 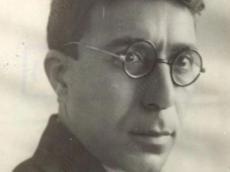 His first script, Sona, was an essential rewriting of the Haji Gara play by the founder of Azerbaijani classical drama, Mirza Fatali Akhundov, where he made a woman as the lead character. He accentuated the idea that women have the right to freely express their opinions. Another well-known play, Sevil, which was lately screened, also pointed viewers' attention to women's freedom. In this play he showed two women, Sevil, a beautiful woman who obeyed her husband unquestioningly and Dilbar, Balash's mistress, as well as a man, Balash, who disliked his past, repudiated traditions and customs and turned away from his own father. The play shows the young woman's ability to keep pace with life, even when caught up in the whirl of social and political events, and transformation into an active fighter for a new life. Jabbarli was a very eager director, and he made actors repeat scenes many times. A major scene of the "Sevil" film where Sevil takes off her veil was shot over and over again. He said to the actress, "You are taking the veil off in a very artificial way. It is the culmination of the play. The veil removing scene must fuel the viewer's rage against the veil - the embodiment of obscurantism and superstition." Inspired by the success of the play and then of the Sevil film, Jabbarli rewrote his own "Almaz" play and created a screenplay for the "Almaz" film. He again decided to direct the film himself, prepared the script and created his creative team. A few days before New Year in 1935, Jabbarli began to suffer heart pains at the studio and on December 31, 1934, the shining artist passed away, at the very time when his creativity was flourishing. However, his friends and colleagues continued his cinema work and completed the shooting of Almaz. The film was released at the commemoration of Jabbarli's death. Unlike Sevil, Almaz has a clear path and is confident in herself. She was not scared to come across a "kulak" (a wealthy peasant), Haji Ahmad. She fights with the kulaks, sparks a revolution in the village, struggles and wins. The writer tried to avoid exaggeration in order to achieve naturalness and reality in the play and the film, to reliably transmit the thoughts and emotions of the characters to the audience. All this was highly appreciated and the film still attracts spectators.